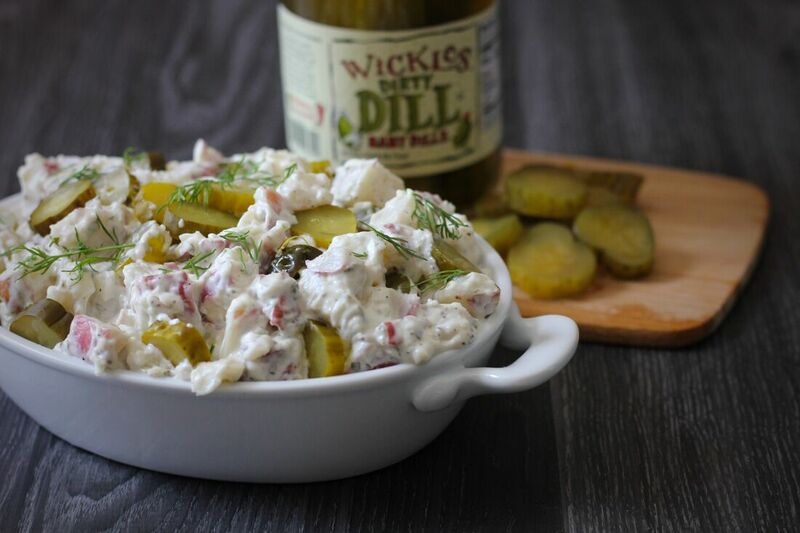 Calling all Dirty Dill lovers! 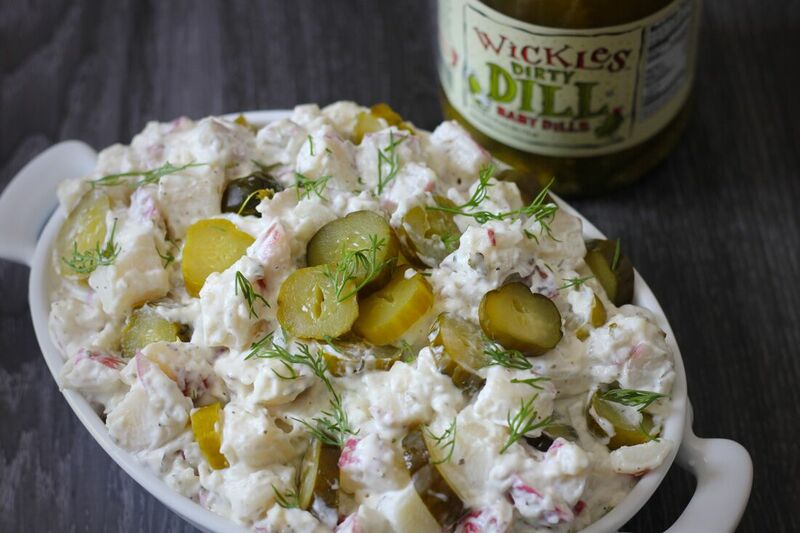 Mix this into your backyard BBQ lineup, you won’t be disappointed. Cut the potatoes and chop into bite sized pieces. Boil the potatoes until tender (approx. 15 minutes). Cool completely. Mix all dressing ingredients in a large bowl. Add remaining ingredients and toss well.